The DW 5000 Series of pedals has earned itself a well deserved symbol of quality and precision in the drumming world. The new DW 5000 Accelerator Single Chain Double Pedal continues that product lineage with some great upgrades that will please any fan of the classic DW 5000 pedals. While the Accelerator Double Pedal plays like the original series, it has the reliable build of the modern DW era. The tri-pivot toe clamp will always keep your pedal secure to the hoop while keeping your hoop safe. Pair this with the non-skid rubber bottom and you'll never have to deal with a moving pedal ever again even during the most intense musical moments! 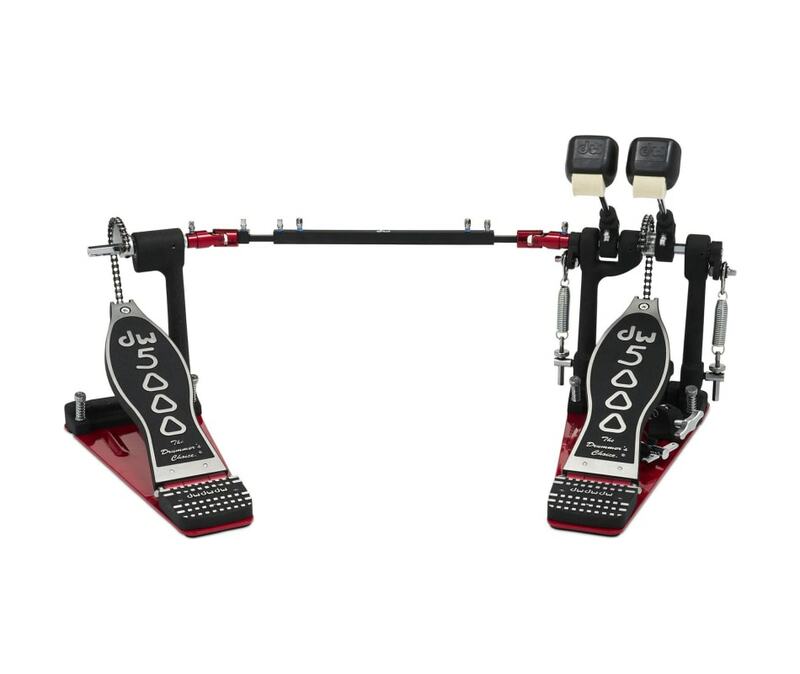 If you want the feel of a classic paired with the security and trustworthiness of modern day DW products, the Accelerator Single Chain Double Pedal will prove to be a solid addition to your kit.